Albert Einstein remarked “Any man that can drive safely while kissing a pretty girl is simply not giving the kiss the attention it deserves.” Einstein was a wise man. Kissing is not the only thing you can’t safely do while driving. Anything that diverts your attention from the road increases your risk of being involved in an accident. 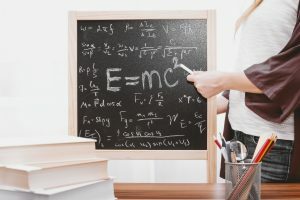 Researchers have identified the maximum number of things even the most brilliant humans like Einstein can handle at one time. Do you know what that number is? According to cognitive psychologists, at any given time, humans can only focus on about 5 pieces of information at a time – plus or minus one or two. So depending upon other factors, the most data you can focus on at one time is about 7 and, at your worst, only 3. When you are driving, you must focus on a number of things from your speed, to the curvatures of the road to other vehicles and objects such as pedestrians, etc. Which is why you can’t safely kiss a girl or text while driving. Of course, kissing a girl and texting both require you to take your eyes off the road, which is not exactly what they teach in driving school. But it turns out, taking your eyes off the road is not the greatest danger associated with texting and driving but instead it is the act of diverting your attention from the task of driving. Let’s take a closer look at texting. When you drive, you must not only see conditions and hazards, but you also must perceive them. In other words, your attention has to be focused on them. And then, you must react, or hope you have enough time to react, to conditions and hazards. When you text, you take your eyes off the road. So until your eyes leave your phone, you do not see them. Even after your see a pedestrian or another car in your path, you must perceive the pedestrian or the car. If you have just received or sent a text, it takes time for your brain to switch from the subject of the text back to the act of driving. Whether you have enough time to react will depend upon how long it takes for you to bring your eyes back to the road, refocus on the task of driving, your speed and a number of other factors including how distracted you are by other life events such as your job, your relationships, what you are going to eat for dinner, etc. Just in case you were thinking you are a great driver and this does not apply to you, consider this: people who drive while consistently using their cell phone do NOT perform any better in studies and simulators than those who rarely drive while using their phone. This is not a practice makes perfect situation. In fact, that same overconfidence is part of the problem. Despite those studies, three out of four people they are above average at driving while using their phone. Most drivers simply cannot accurately assess their abilities or, more importantly, the danger they are creating for themselves, their passengers and others on the road. So while Einstein warned against kissing driving, at the Law Offices of John Day we want to continue to warn drivers about texting and driving. (We think Einstein would agree.) If you or a loved one has been injured by a driver who was texting and driving, give us a call. We handle all car accident cases on a contingency basis so we only get paid if we recover money for you and your family. Call us at 615-867-9900 (Murfreesboro) or 615-669-3993 (Nashville) or 615-742-4880 (Brentwood) or 866-812-8787 (toll-free).